Three people had to jump out of the way of an oncoming Metro train last week because of a series of skipped safety steps, Metro's chief safety officer said Thursday. The workers had recently undergone special safety training. WASHINGTON — Three people had to jump out of the way of an oncoming Metro train last week because of a series of skipped safety steps, Metro’s chief safety officer said Thursday. Two Metro workers and an AT&T employee who did not belong on the tracks while trains were carrying passengers wrongly entered the Yellow Line tracks near Eisenhower Ave. on May 18 without the required level of protection, Pat Lavin told the Metro Board Safety Committee. According to preliminary interviews, the two Metro workers and the AT&T employee walked 35 to 100 feet down the tracks before they heard a southbound Yellow Line train coming and scrambled back toward an opening in the handrail to access a catwalk next to the tracks. “The train operator came around the curve, she observed them. She observed one of the individuals stepping off — what she categorized as jumping out of the way of the train,” Lavin said. The train operator was found not to be at fault for the incident, and Lavin noted she had followed proper procedures while passing through two other work zones during the same shift. Lavin placed the blame largely on the two Metro workers who entered the tracks without following at least four safety procedures. Both of those workers had undergone new safety training within the last few weeks following an urgent letter about worker protection from the Federal Transit Administration, but they failed to follow the new procedure of putting a worker at the station platform ahead of the work zone to let the train operator know face-to-face that a work crew would be on the tracks ahead. A controller in the Rail Operations Control Center also failed to catch that mistake. She has been suspended for 10 days. Lavin said the workers also failed to conduct an adequate safety briefing before entering the tracks. They face undisclosed administrative action. This is the fifth time this year Metro workers are known to have been nearly struck by a train — an average of one incident per month. “These (incidents) are part of the culture that we need to change. If you have, for 40 years, people behaving in a certain way and you’re trying to change that, it’s a very difficult task to accomplish,” Lavin said. He said he hopes better investigations and management can help. Metro Board Chair Jack Evans called the repeated issues “inexcusable,” but said he believes Metro is doing enough to address the issue. 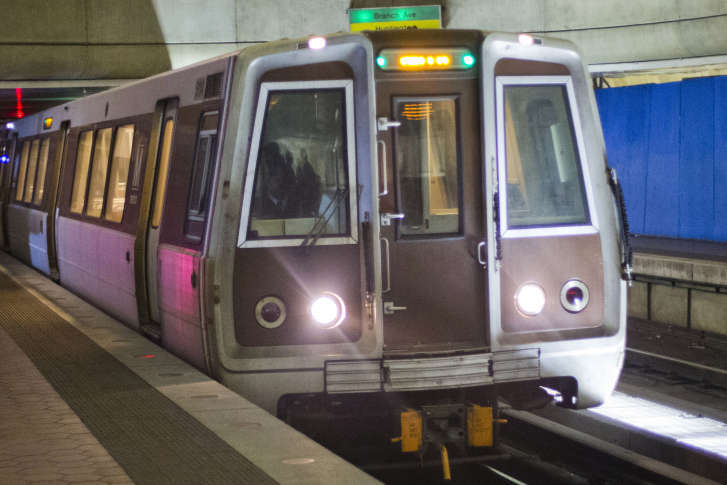 Following a meeting May 8, Lavin said Metro provided the Federal Transit Administration with additional safety steps that are planned in the Rail Control Center including additional supervisors for rail operations and for maintenance. Federal Metro Board Member Carol Carmody said that without the latest near miss, Metro’s plans may have been approved. “The response was, I believe, acceptable to the FTA. They were getting ready to write back and say they had accepted when May 18 occurred,” she said. Carmody pointed out the May 18 incident happened after Metro had given the workers new safety training. In a separate incident Wednesday, Lavin said a train operator who had just returned from medical leave passed through a work zone at more than twice the new 10 mph speed limit. While the incident was less serious than the near miss — and more easily explained since the old speed limit was 35 mph until a change last year — Lavin said it is still an issue that must be addressed. “I know these are negative outcomes for the roadway worker protection program, but I think it’s good that we’re getting reporting back from the field of these events so we can investigate them and try to eradicate them,” Lavin said.